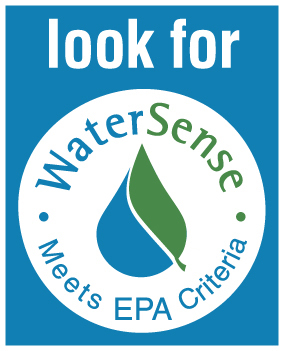 To assist customers with meeting the WaterStar Business Recognition Program criteria, IRWD is offering a rebate of up to $300 for each eligible EPA WaterSense labeled toilet model to WaterStar participants. A commercial High-Efficiency Toilet comes in two categories, either as a tank toilet or a flushometer toilet and uses 1.28 gallons per flush. Eligible toilets must replace existing toilets using at least 1.6 gallons per flush. High-Efficiency Tank Toilets must have a matching bowl and tank and must be listed on the qualifying products list as provided on the IRWD website. High Efficiency Flushometer Toilet rebates must have both a qualifying bowl and a qualifying flush valve and both must be listed on the qualifying products list. Any pairing between a qualified valve and bowl from this list will be accepted, as long as all other program terms and conditions are met. Modification of existing valves or use of valve kits does not qualify for a rebate. For more information on how to purchase qualified products, contact your local plumbing retailer. All applicants must be participating in the WaterStar Business Recognition Program and have had a site evaluation performed by IRWD staff. 7. Receive rebate after one month of scheduled inspection. * The Internal Revenue Service requires Rebate Program participants receiving $600 or more in rebates to receive an IRS Form 1099 unless exemptions apply. If your rebate amount will exceed this threshold, the payee’s Social Security or Tax ID number must be provided via a completed Form W-9 along with the rebate application paperwork in order to receive a rebate. The name on the W-9 must match the name on the rebate check. This form must be completed so Irvine Ranch Water District can properly complete the Form 1099. This requirement is in compliance with exemptions to the Federal Privacy Act of 1974, 42 UCS 405 (c )(2)(c ). Social Security numbers provided as part of the application process are held in confidence under terms of the Privacy Act and are not divulged or otherwise conveyed to individuals or organizations outside the Rebate Program. Participants must apply for a rebate before making the purchase. Thank you for your interest in the Irvine Ranch Water District Toilet Rebate Program for WaterStar Business Recognition Participants. • By participating in this program, personal information listed on your application may be subject to disclosure to requesting parties pursuant to the California Public Records Act. • Toilet(s) must be installed in the Irvine Ranch Water District service area in order to qualify for the rebate. • The actual device costs exclude tax, shipping, labor and other charges. • Rebate amount and requirements are subject to change without advance notice. • Rebates are available on a first-come, first-served basis and are subject to the availability of funds. • Leaseholders may be eligible to participate with written consent of the property owner. • Irvine Ranch Water District reserves the right to verify and inspect rebated devices and collect the purchase receipts before issuing rebate check. Access to the rebated device(s) must be provided. • A reduced water bill is not guaranteed. • Rebate applications must be complete and are subject to verification and review for accuracy, including all necessary documentation. Necessary documentation includes, but is not lim ited to, a copy of the purchase receipt. The receipt or invoice must include the model number, date of purchase, and proof of full payment while the water bill provided must show the account number, account holder’s name, and water service for the property listed on the application. • Email addresses provided on the application may be used by IRWD to communicate additional information about other rebates and water efficiency programs. • Toilet models must be on the IRWD qualifying model list to receive rebate funding. • Customer locations that previously received funding for toilets from IRWD are not eligible for participation. • Dev ices must be installed within 60 days of Letter to Proceed. Verification of purchase must be submitted within 30 days of the purchase of a qualifying device or measure. • Rebate checks will become void 90 days after being issued. • Applications with a product purchased through a third- party website (eBay, Amazon, etc.) must be submitted with a receipt or confirmation identifying the item as new. • The Internal Revenue Service requires Rebate Program participants receiving $600 or more in rebates to receive an IRS Form 1099 unless exemptions apply. If your rebate amount will exceed this threshold, the payee’s Social Security or Tax ID number must be provided via a completed Form W-9 along with the rebate application paperwork in order to receive a rebate. The name on the W-9 must match the name on the rebate check. This form must be completed so Irvine Ranch Water District can properly complete the Form 1099. This requirement is in compliance with exemptions to the Federal Privacy Act of 1974, 42 UCS 405 (c )(2)(c ). Social Security numbers provided as part of the application process are held in confidence under terms of the Privacy Act and are not divulged or otherwise conveyed to individuals or organizations outside the Rebate Program. • Disclaimer: Irvine Ranch Water District makes no representation or warranty regarding the devices eligible for rebates under this rebate program, including any hazardous substances that may be contained in the device. By participating in the rebate program, the applicant agrees to waive and Irvine Ranch Water District, and their contractors or agents, from any and all claims and causes of action arising out of the purchase, installation or use of the devices purchased in connection with the Rebate program. Any claim you may have based upon any defect or failure of performance of a device purchased by you should be pursued with the manufacturer or distributor. Ready for your post-installation? Schedule your on-site verification appointment.